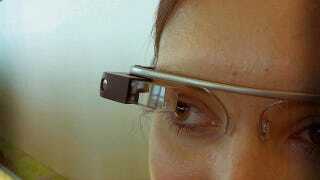 Last week we reported that the ability to control Google Glass with the wink of an eye was a very real possibility. Now, an enterprising chap by the name of Mike DiGiovanni has made that a reality. The developer has created an app called Winky, which lets you power up Glass from standby and take a picture with just a single wink. There's even a video of the process in action. Clearly, a long deliberate wink is required—so as not to misinterpret blinking, presumably—but it's pretty neat that it's possible to command the device without touch or voice.